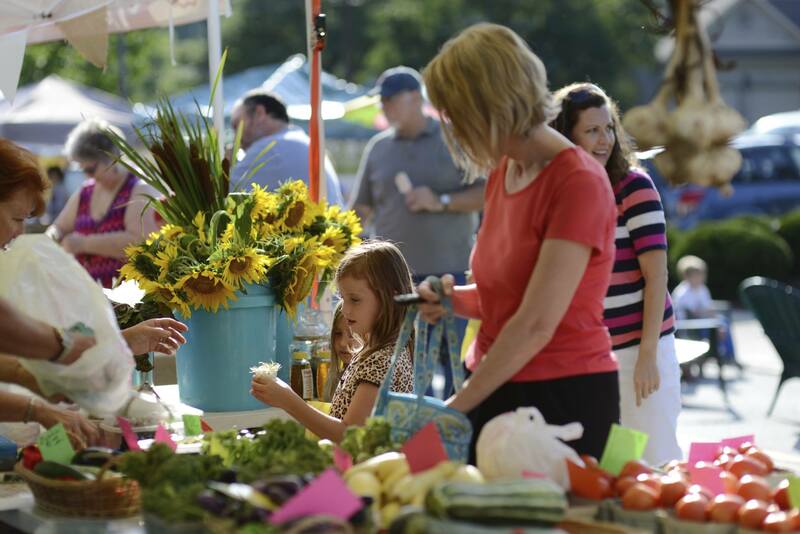 Every Thursday from 3:30 to 7 pm, the market features a variety of vendors, each offering their own unique flavor. Blue Oven Bakery – Blue Oven offers any kind of bread you’re looking for. From 10-grain, to sour rye, to focaccia, to cherry chocolate. They have it all. TS Farms – TS Farms sells beef, pork, chicken, lamb, goat, rabbit, turkey, eggs—you name it. The newest feature is a sausage sandwich made with Blue Oven muffins. All animals are pasture raised with no hormones, steroids or antibiotics. The Pickled Pig – Aside from creating smoked meats, The Pickled Pig also specializes in savory sides. The list includes carrot kimchee, sour pickles, dill kraut, garlic beets, cauliflower, and more! A “Mother’s Touch” Cakes – These cakes are made with fresh, all natural ingredients. There are also gluten-free and reduced or no sugar options. These specialty cakes are great for weddings, graduation parties or just a splurge night at home. That’s just the beginning. Visit madeirafarmersmarket.com/vendors to view a full list. To make the most of your visit, swing by one of the thriving restaurants ot businesses in Madeira—A Tavola Bar + Trattoria, Bruegger’s Bagels, Cheers to Art Painting Studio, Fitness Firm Yoga and Pilates Studio, GiGi’s Cupcakes, and many more! The Madeira’s Farmers Market is located at the corner of Dawson and Miami, in the heart of historic downtown Madeira.